Volunteering with kids and animals. What could be more fun? If you have kids and like to be a part of your community you’re probably looking for ways to give back and promote charitable giving. What can be more fun than engaging kids, helping animals and making a difference all at the same time? 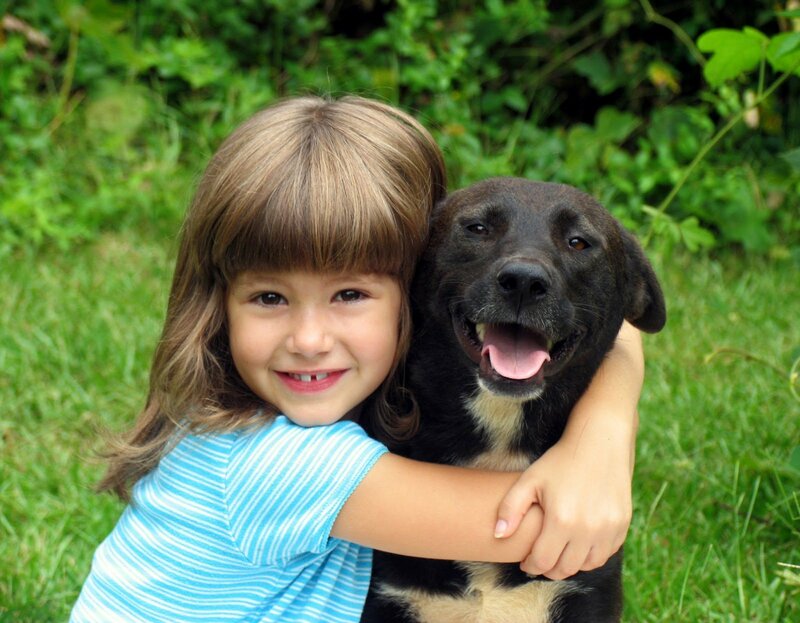 We’ve compiled our top 5 ways you can volunteer to help animals, and include your kids. If you haven’t heard, animal rescue relay transport is one of the fastest growing volunteer segments of animal rescue. Why? Because it’s so versatile, flexible to a volunteers’ timelines and involvement and so helpful to rescue animals. Oh and it’s a great family activity of course. Involving kids in your rescue transports is a great way to introduce them to the need to give back. Parents get the opportunity to talk about volunteering and why they are helping animals. They can show children how to work with and respect animals and also teach them about animal behaviors and indicators to keep children safe. When you volunteer with animals and children during rescue transport, it’s also a great opportunity to bond as a family. Rescue relay transports are passion-filled, fun and exciting road-trips where you get to see different parts of the city or country, and where you can meet new people who share a common love for animals. You’ve probably heard that when you foster a shelter animal, you’re saving two lives: the one you’re fostering, and the space you’re freeing up at your local animal shelter for another animal. Fostering is a great activity to involve kids with as well. 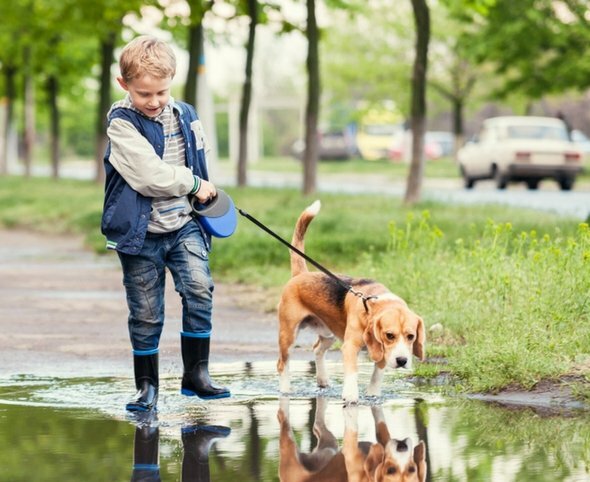 Whether you’re doing short-term foster like a weekend outing or overnight field trip for a shelter dog or cat, or if you’re able to provide a longer-term more stable shelter, you’re engaging kids with animals in a new way. When you foster an animal, your kids will learn responsibility and the need to care for other sentient beings. They’ll learn how to show empathy and compassion for an animal that is frightened and experiencing a new situation. Patience will become the word of the day as all of you work together to develop the bonds of companionship and trust. 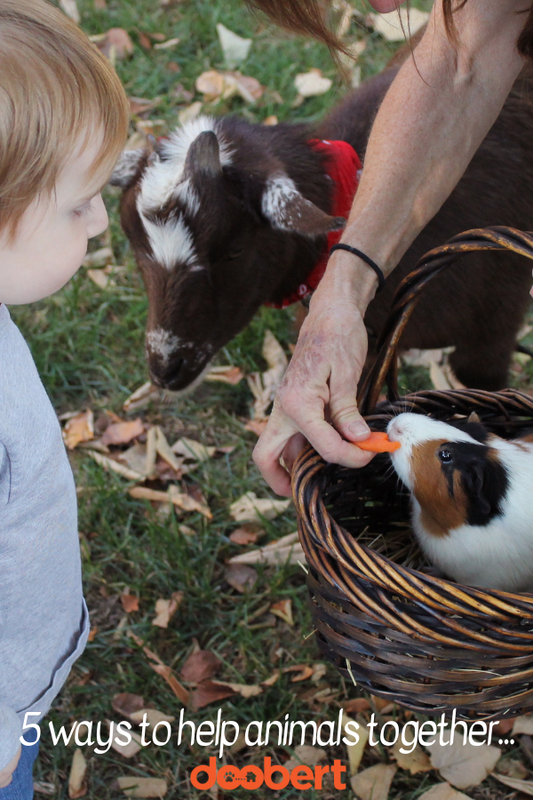 The best part is that your kids won’t even know their learning all of these complex lessons because they will be too focused on having fun and engaging safely with animals. One of the most common ways that parents and kids volunteer together to help animals is at their local animal shelter or animal rescue. When you volunteer at your local animal shelter and include your children, you show them what it means to give back. Together you’re taking time out of your day, to drive to a location and assist others in the care of animals. This might be washing blankets and towels so the animals have warm bedding to lie on instead of a concrete slab, or it might mean walking dogs or socializing kittens so they can be adopted. Animal shelters have lots of opportunities for families to get involved and learn the responsible way to care for animals. Kids love to collect stuff so why not turn their passion into something that helps animals? Have you ever considered starting a towel drive where people can donate their old towels to have new life helping animals? Animal shelters are always needing more towels. Towels are often used in animal shelters to provide bedding and warm comfort to animals. They are also used to clean-up messes and provide barriers. Most shelters just can’t get enough towels to help them with their daily operations so by starting a towel drive, you’re setting them up for years to come. Doing a towel drive is easy. You and your kids can setup some collection barrels with signs around your community. Supermarkets, banks, and pet food stores are great locations and usually open to helping out. You and your children will be volunteering to help animals while at the same time working on building better relationships together. Animal shelters and rescues usually have a pretty regular set of adoption events scheduled throughout the year. Adoption events are the opportunity to showcase animals that are looking for their forever homes. Volunteers are the lifeblood of successful animal adoption events and these are a great opportunity to teach children responsibility and to help them think creatively as to how to structure an event for success. Whether the adoption event is a larger one for multiple rescues and shelters, or one where you’re the only animal tent in town, thinking creatively as to how to structure your booth is one of the keys to success. What’s the first impression people will have when they see your booth? Are your adoptable animals the ambassadors of your location, or hidden back away from easy viewing? What catches the public’s’ eye as they stroll on by and how can you draw them in? Often, volunteers are the ones with new, innovative ideas for these events since they are the target consumer and kids are usually full of fun ideas that grownups haven’t thought about before. 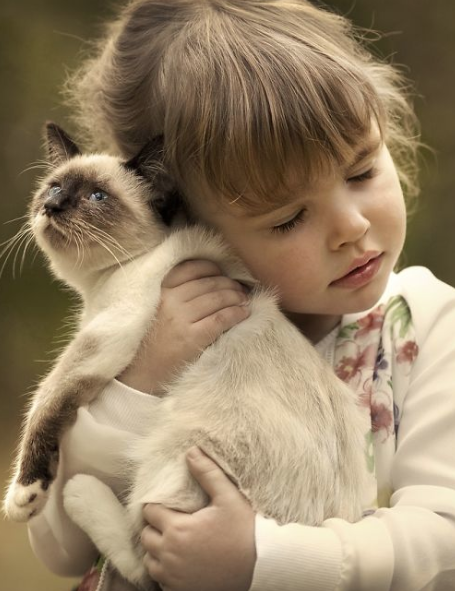 There are many ways you can get your children involved to volunteer and save animals. Together you can make a difference.